I seem to fail with my reading goals everytime I write about them in my monthly summary posts. However, this year I'm really trying to up my reading game. I'm on my third book of the year which is pretty good going for me, especially as I read a grand total of five in 2017! I'm currently reading The Stand by Stephen King which is an extremely large book so it might take me some time to get through. I've also downloaded the Good Reads app so I can track what I'm reading and so far it's encouraged me to read instead of watching Netflix. I'm being more specific because I think this will help me stay on track of my goals better. My main focus is to get fit because my mum, who's in her 50's is fitter than me and that's slightly embarrassing! However, I do also want to lose weight. I've been doing more exercise since December but need to create a better workout routine. The main reason I want to lose weight is that I quite literally do not fit into half of my clothes anymore and I can't justify buying a whole new wardrobe! I could easily just put travel more but that's very subjective, travelling more could mean visiting one new place to one person or 20 new places to another person. Why five? Because I think it's a fairly realistic number. I've got a trip to Copenhagen booked and I'm also going to Hong Kong so that's two new countries but I don't want to just say new countries because there are so many places in countries I've already been to that I'd love to explore. I'm hoping to do a trip to Shenzen in China while I'm in Hong Kong so that's another place. And as for the other two places who knows! I'd love to see even more new places but who knows what will happen in the rest of 2018. I started doing this once I got back from Asia but it got forgotten as other things took over. I want to finish it before April so I'm currently working my way through it. I want to complete this in part to improve my knowledge of the subject but also to hopefully improve the way I blog as well. So, I have about three journals/scrapbooks on the go. None of which are finished. I need to spend some time getting creative. It will be a real shame if I don't finish these so I'm doing this for my future self! Ok, this one is rather vague. Partly because I'm still working out the direction I want to take my blog and how I can do this. I also want to grow my social media, improve how I use Pinterest and actually gain some Instagram followers rather than losing them! I could have written another ten or so goals but some are more personal and some are very boring! 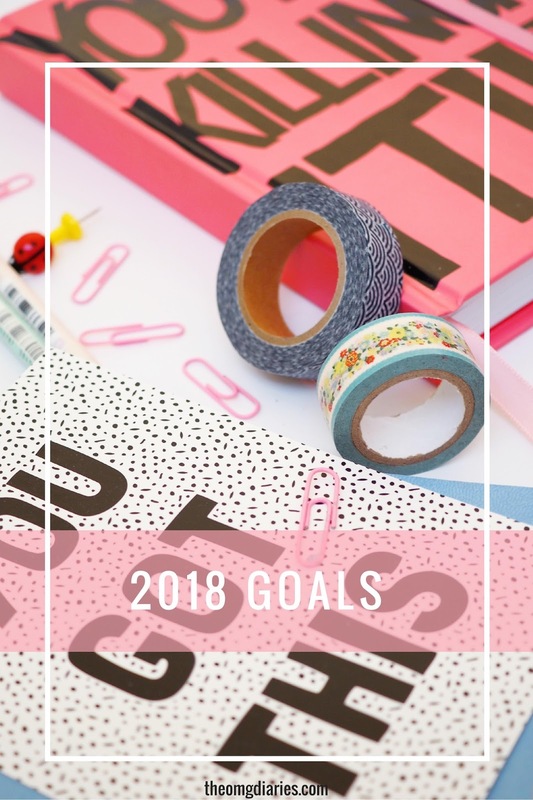 I'd love to hear about your own 2018 goals!